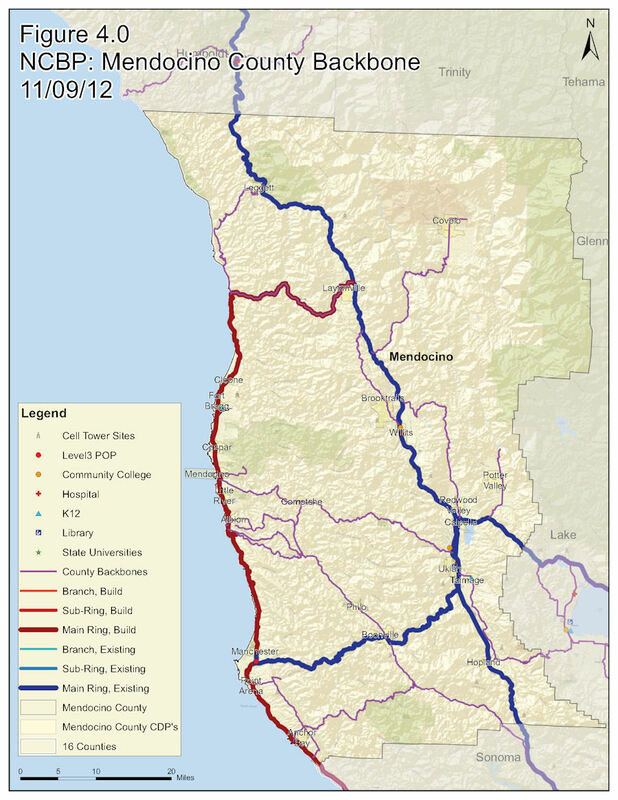 The strategic Mendocino County Middle-Mile Fiber Backbone Plan is intended to guide future development of a county-wide middle-mile fiber backbone network that will support deployment of affordable, robust, broadband throughout the county with redundant links to regional and national backbones. A key component of the Plan is the conceptual map that shows where fiber would be deployed if there were no deployment obstacles. It is intended to depict desired conditions, ignoring deployment realities. It will be used by the Mendocino County Planning Department when reviewing construction permits to alert the County to possible broadband opportunities. Broadband vendors will use it to plan future broadband deployment projects in the County, and the Alliance will use it when identifying funding opportunities. 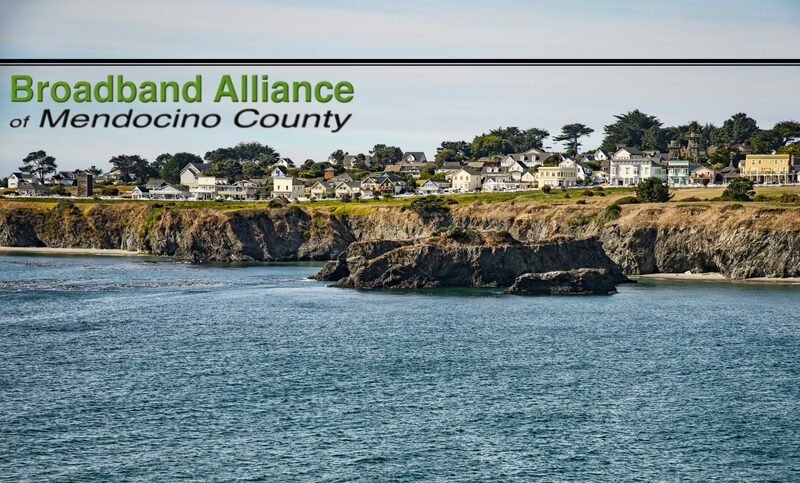 During 2013, the Alliance, in conjunction with the Mendocino County Planning Department, will conduct public reviews of the plan with a goal of adopting an initial map by year end.